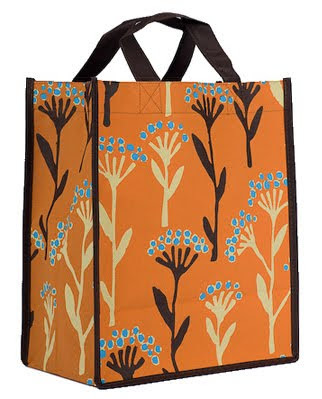 Reusable Bags, Recycled Bags, Eco-friendly bags- Green World Bags are a super cute, stylish way to make a difference. Going green can look really good. Carrying eco- shoppers is a simple change shoppers can make to keep nasty plastic bags out of landfills and waterways. Using Green World Bags gives you a great looking, affordable choice. I chose the Classic Series. I've had many complements while out shopping and I've directed several people to where they can purchase their own. Designed in the classic paper bag shape, 14” reinforced loop handles and a bottom liner for increased stability. These bags are durable - lugging home my all my heavies like milk and caned goods. I love these bags!! Green World Bags™ is committed to improving our environment. A portion of each sale goes to support the great environmental work being done by the folks at One Percent for the Planet and the Surfrider Foundation. You can purchase Green World Bags online at http://www.greenworldbags.com. Remember these bags make a great gift for those eco- conscious and those who could use these bags to start be! Use this Promo Code :ED2009 which is good for a 20% when you order online. One lucky winner will receive a set of the EXOTIC Series Set (4) - Daring, exotic, and uninhibited this series was inspired by the earth’s untamed landscapes. Bring out your wild side while carrying these reusable totes. - That's 11 possible entries with a chance for unlimited possible entry points!! Disclaimer: Green World Bags provided me with a review sample and the same for one winner. These views are my own. I like the St Tropez design. I really love the morocco bag! I follow using networked blogs! I really like Machu Pichu because I love the blue color! My favorite is the Exotic Series - Kashmir. I love the Morocco the most but let me say..I love them all. I subscribe to your feed by google reader. I subscribe in my reader. You are in my Technorati faves! I like the Machu Pichu. I like the classic series the SYDNEY bag! I like the Copenhagen from the Modern series. Thanks for the chance! #2 Follow you on twitter @WendiP and tweeted, thanks so much!!!!! I like the London bag. I like the Cairo bag the most but they are all beautiful. I follow on Networked Blogs under facebook username Jennie Tilson. Machu Pichu would be my favorite- the blue ya know. KASHMIR is my favorite. Fabulous colors. I also like the patterns in the Modern design. The Morrocco is my favorite design! My favorite design is Copenhagen :) *Thanks* for the giveaway! I like the frankfurt design. My favorite is the Zimbabwe design. Thanks. Zimbabwe is my favorite design ! Ilike theExotic series, especially the Zimbabwe bag. All of the bags would help me keep my stuff looking classy and would get me in the "put together well" category. Happy Easter! I tweeted today, thanks! I like the Morocco design the best. I like the St. Tropez style. 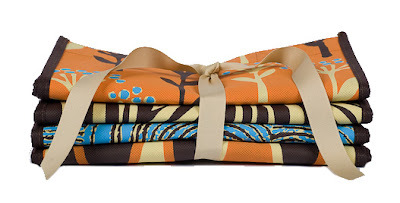 my fave is the Quintana Roo design, and thank you for the chance! I love the Copenhagen bag!